Hayden was born in Ohio and moved to Colorado when he was six years old. He grew up playing every sport imaginable. As the years passed, soccer and ice hockey became the two sports he was most passionate about. He played as a goalie in both sports and enjoyed the pressure and challenge of the position. After high school he moved to Tulsa, Oklahoma to attend Spartan College of Aeronautics and Technology. He studied Nondestructive Testing (NDT) and graduated with an Associate’s degree in Quality Control. Today, he works at Lockheed Martin as a NDT technician. Hayden has always enjoyed working out but found the regular routine of corporate gyms boring and unmotivating. 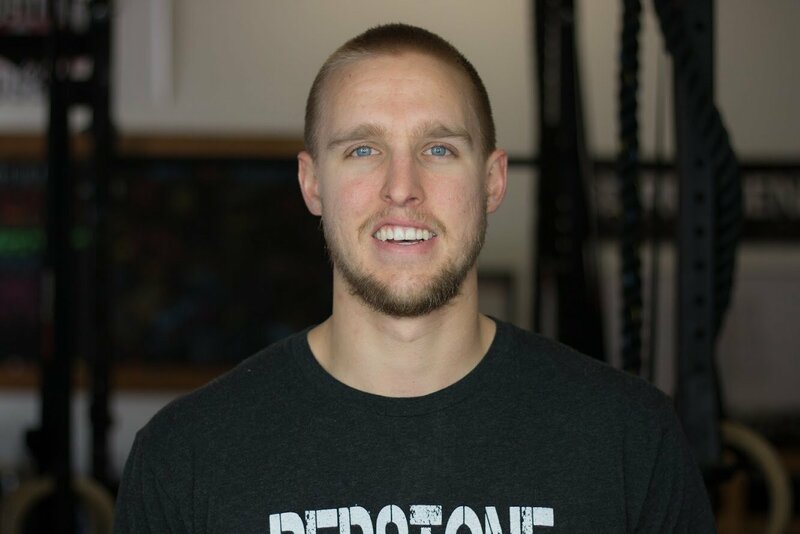 It was in November of 2015 when he discovered Redstone CrossFit and ever since then he has become more and more addicted to the sport. The group atmosphere and community aspect of the gym is something that he enjoys. Working out around others has pushed him to new highs and he wants everyone to feel that. He just recently acquired his Level 1 CrossFit Certificate and has enjoyed coaching and helping others become the best version of themselves. In his free time, he loves exploring the great outdoors, hiking, camping and hunting. As well as playing some ice hockey and grabbing a few drinks at one of the many local breweries.